The name “Louis” is a visual conundrum; is it pronounced like the Kingsmen’s 1963 hit song, “Louie Louie,” which is the same pronunciation as the eighteen King Louis’ of France, Louis Vuitton designer bags, and Crab Louie salad? Or is it pronounced “Lewis,” as in the case of famous jazz trumpeter and singer Louis Armstrong who is said to have gone by both “Lewis” and “Louie”? 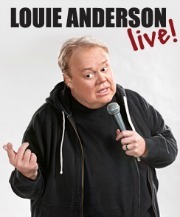 Comedian, author and actor, Louie Anderson obviously decided to leave no doubt in the mouths of future fans. Just as with his quips, comebacks, and comedy routines, Louie spells his name the way it is: he leaves no room for any doubt or second guessing. 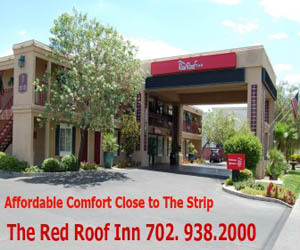 Anderson has taken up residency the Plaza Hotel & Casino in downtown Las Vegas delighting audiences Wednesday through Saturday nights at 7 p.m. in the Plaza showroom. He is happy to be on dry land after his success on the ABC celebrity diving series, “Splash.” The tubby comic once nearly drowned during a practice round at the Rose Bowl Aquatics Center in Pasadena, Calif.
On stage, Anderson is proud of the fact that he lost forty pounds during his stint on the reality show. He’s also changing the lifelong bad habits that created the bulk on his body, which has been the root source of his comedy since his national television debut on the “The Tonight Show” with Johnny Carson in 1984.